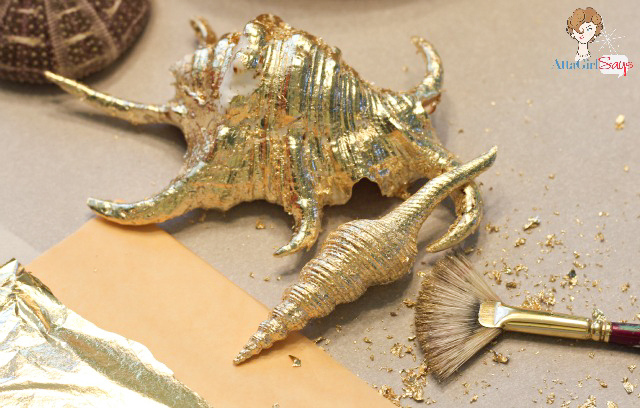 Give seashells a luxe look with metallic leafing. 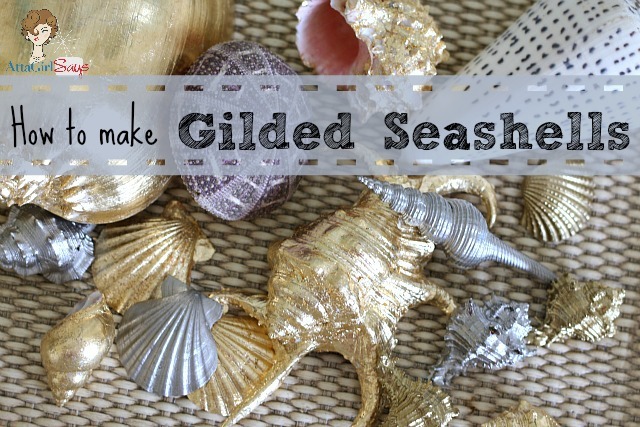 Learn two different easy methods of making gilded seashells. In celebration of beach season, I’m showing off my seashell collection and sharing two different techniques for making gilded seashells. 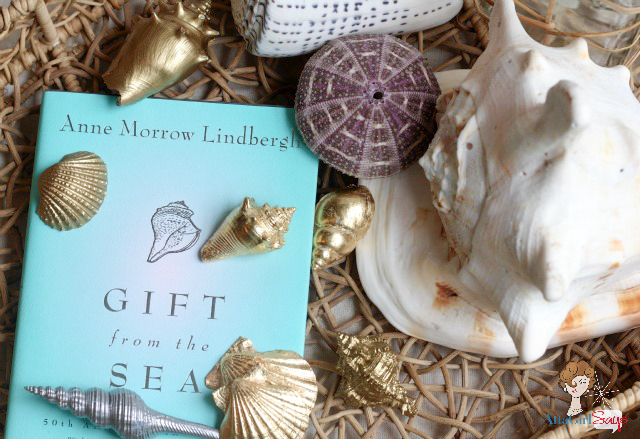 Aren’t these gilded seashells the prettiest things ever? So beachy glam! I experimented with two methods to give my shells the heavy metal treatment. 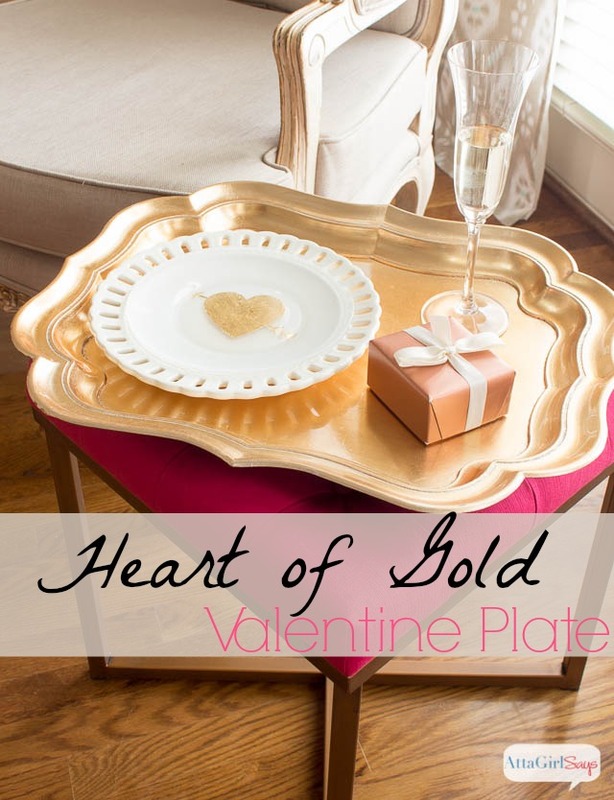 I tried out liquid gilding and gold leaf sheets (which I’ve used for projects like my Gilded Valentine’s Day Plates), and I love the results you get from both. Seriously, I can’t pick a favorite. Gold leaf sheets really work well on shells with smooth surfaces. So luxe! But liquid gilding looks bling-tastic on textured sells, like the ones you see in the forefront of the photo above. The painted on metal leafing really highlights the knobby bits of the shells. 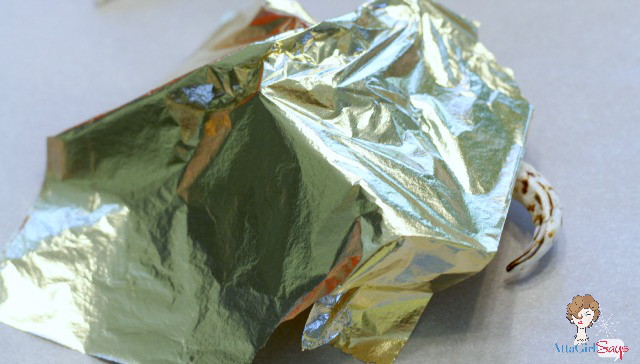 The quickest, easiest method, by far, is to use liquid gilding. I used the Martha Stewart Crafts Liquid Gilding, which comes in four colors: gold, brass, copper and silver. I used brass and silver to create my seashells. Just brush it on with a paintbrush, and you are done! The liquid gilding dries quickly, which is a bonus. But it does have a strong smell, and it will pretty much ruin a paintbrush. 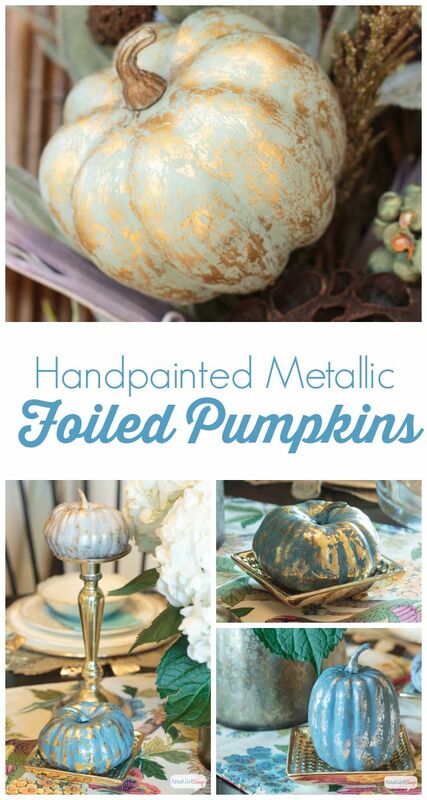 Using gold leaf sheets will take you longer, but the look is so rich! I recommend getting a metal leafing starter kit, which has all the supplies you’ll need for your project. 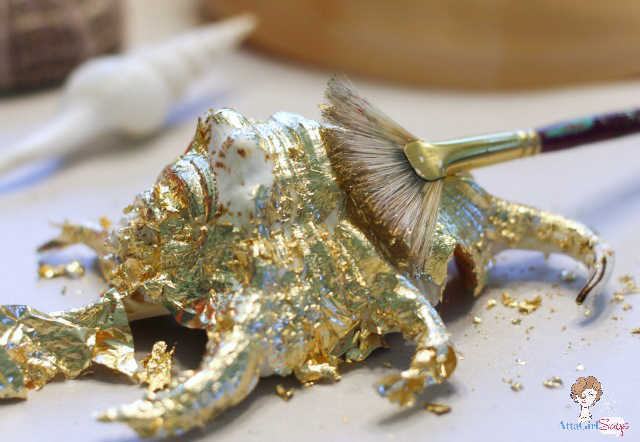 When gold leafing, first coat the shell with a thin layer of adhesive size — a thin, ultra-sticky glue. 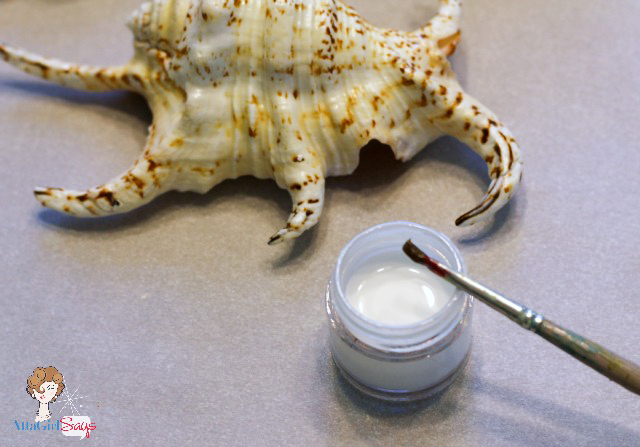 Allow the adhesive size to dry for 20 to 40 minutes, until the surface of the shell is tacky or sticky, but not dry. Gently lay a sheet of gold leaf over the shell. The leafing is super thin, and a bit tricky to handle. Make sure you’re not sitting near a fan or a vent when working with it or your gold will blow away! 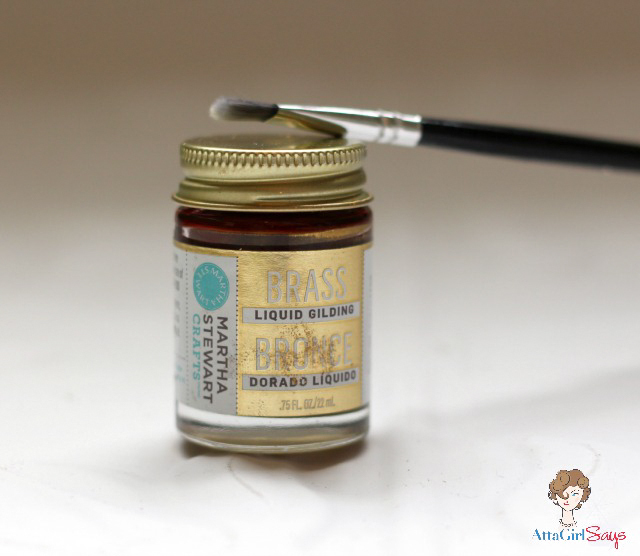 Use a soft, dry paintbrush or a soft rag to burnish the gold leaf onto the surface and remove any excess. You will probably have to follow up with a second layer of adhesive and gold leafing to cover any spots you missed on the first pass. Over time, gold leaf will develop a tarnished patina, like many metals, so you need to seal it. Most metal leafing starter kits come with a clear sealer. You can also use a spray sealer. 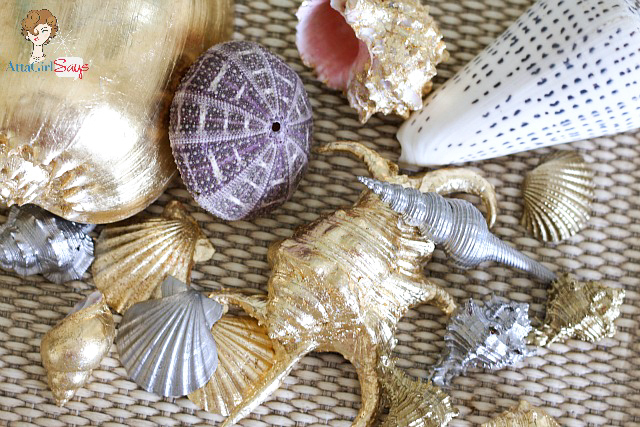 There are all kinds of ways you can decorate with gilded seashells. They look great in a bowl, mixed with natural seashells, or scattered on your coffee table atop a stack of books. 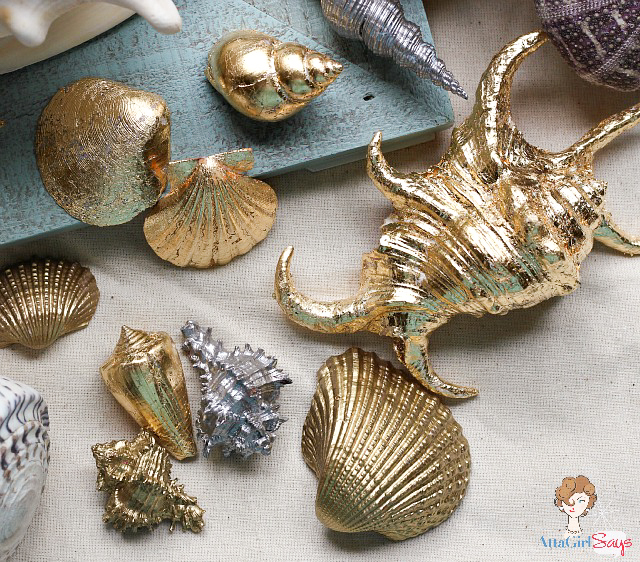 Use larger gilded seashells as bookends or cover a frame or mirror with clusters of smaller gilded shells. Or you could just put them in a jar on the back of the toilet, which is where seashells go when you don’t know where else to put them. Right? Of course, you shouldn’t have to resort to that. You’ll find more than 25 seashell craft ideas here. 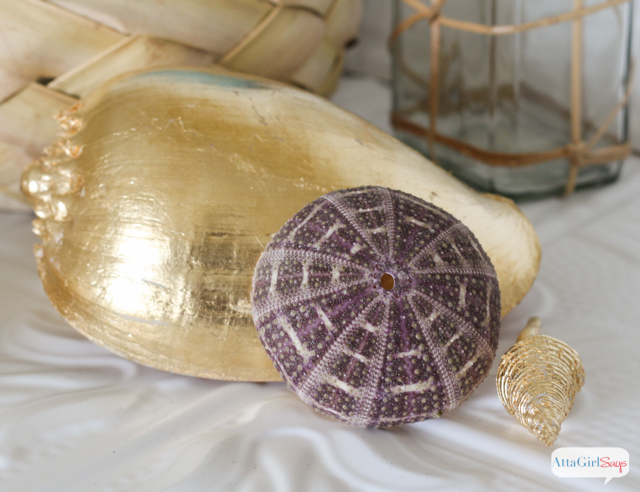 If you want to make these gilded seashells, don’t forget to pin this post so you can easily find the tutorial. So great! Makes me wonder what else I could gild around here! I’m getting the gild out – Right Now! These are the most amazing thing ever! We are doing our bathroom in a coastal theme and these are perfect! So cool-they look amazing mixed with the natural ones too! These are so pretty! 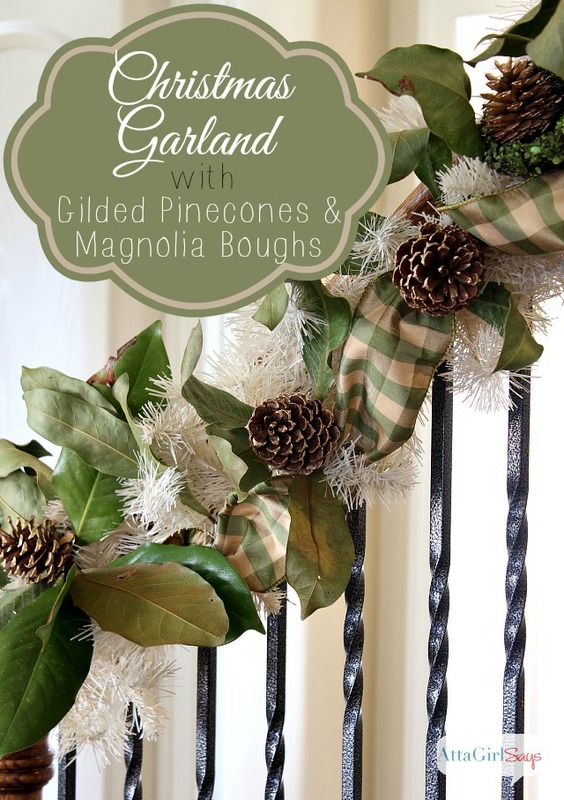 I actually have a couple of leftover gold leaf sheets sitting around here just waiting for a project like this! Very cool! I love how classy they look! 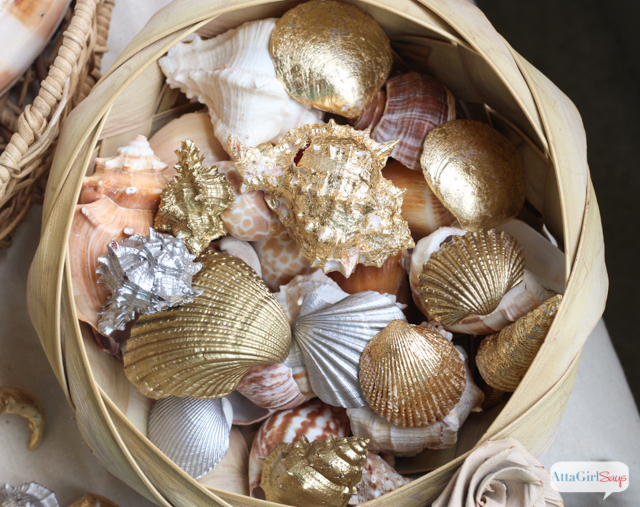 I love the look of a couple gilded shells along with the natural ones. Brenda, I wish I knew! Sorry I can’t help you with that. Those shells are of the genus “Murex”. There are several types of Murex shells.